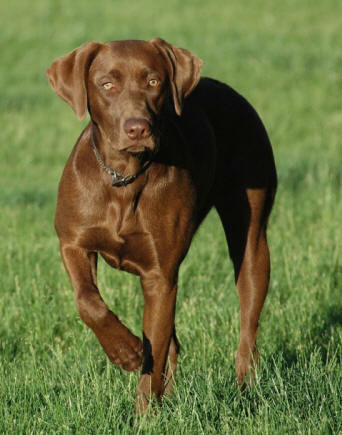 "the clear and unarguable fact is that the Labrador is a retriever, not a pointing dog"
" should not be bred or sold to the public as a pointing breed." 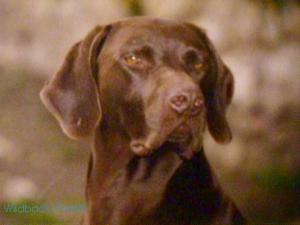 Author, Dave Duffey in his book, "Dave Duffey Trains Gun Dogs", says "I am not qualified to tell you how to teach a gun dog to destroy a fox or house cat, locate wounded deer, tree raccoon, or fetch rabbits", along the line of terrier and hound work"
There's NO Griffon, Wirehaired, Drathaar or Pudel in a "WESSL"
A NOTED GUN dog writer once said that "the upland game bird and waterfowl hunters of the world need only two breeds: the Labrador Retriever and the German Shorthaired Pointer"
and "tail" above the rest. 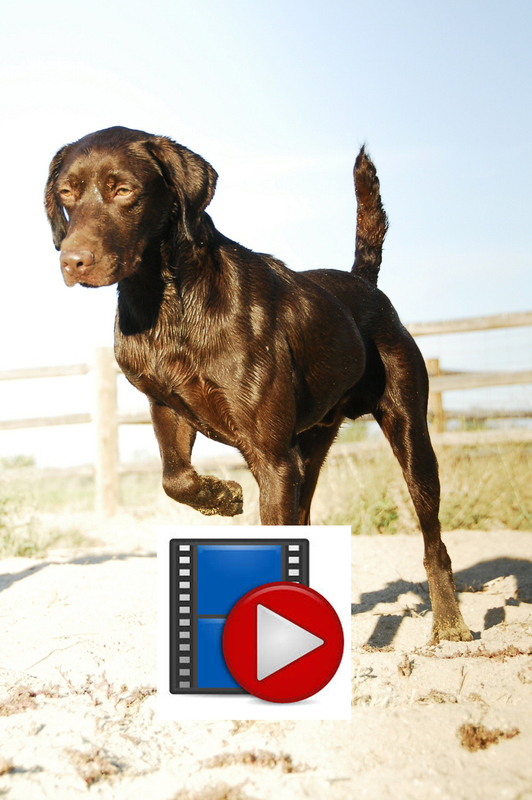 The Wesslpointer is a versatile gun dog in balance with the tasks at hand. 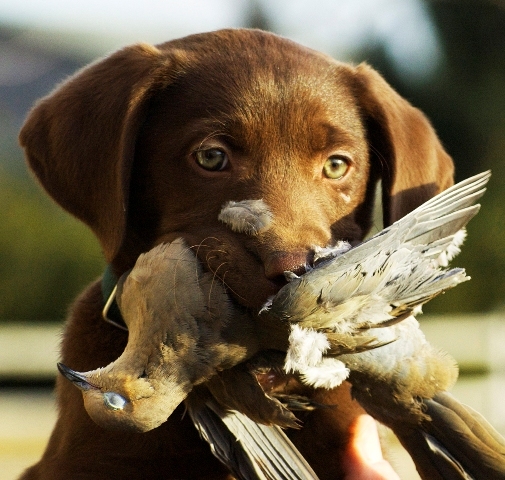 Pointing is as important as retrieving. 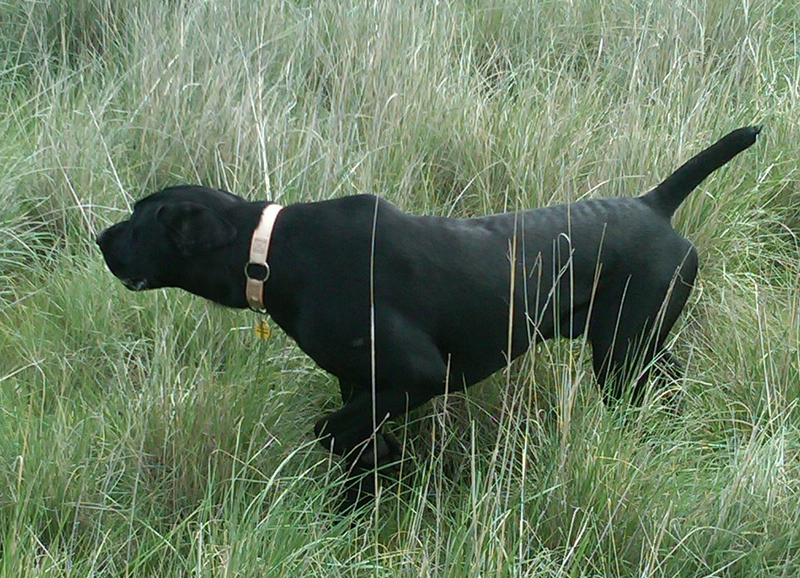 Tracking is as important as finding and retrieving. 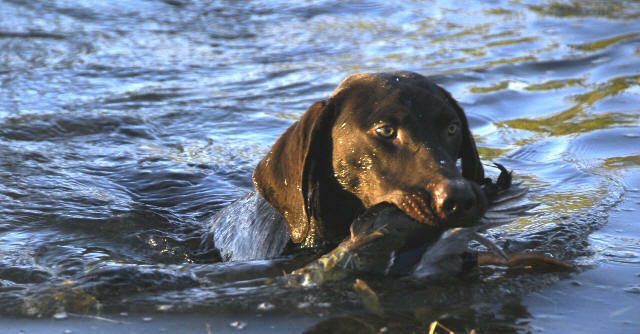 Searching on land is as important as on water. 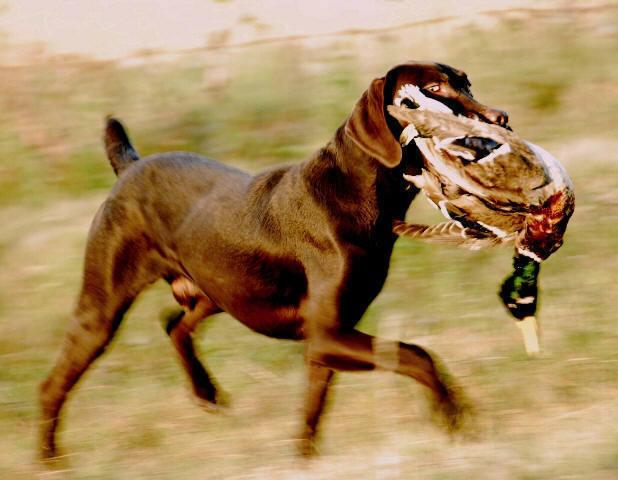 A Wesslpointer handles game with a soft mouth that delivers game "fit for the table". 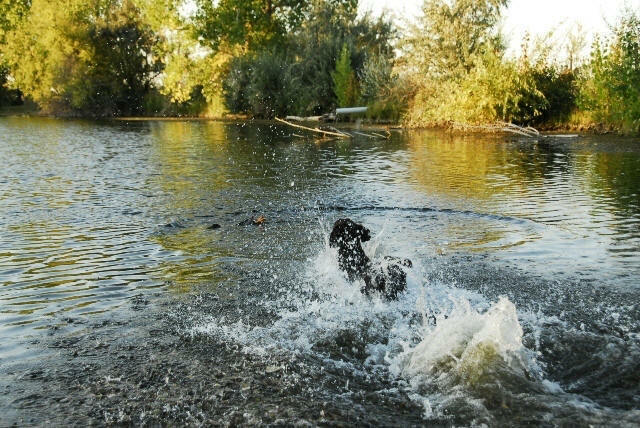 The range of the search, equal to the terrain, but not past the handlers wishes. 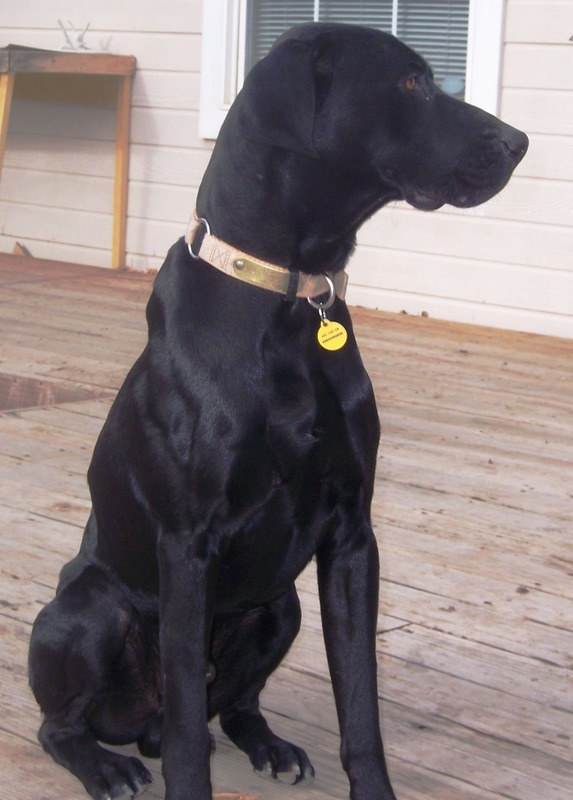 An American Versatile with a temperament, head, coat and "tail" above the rest. 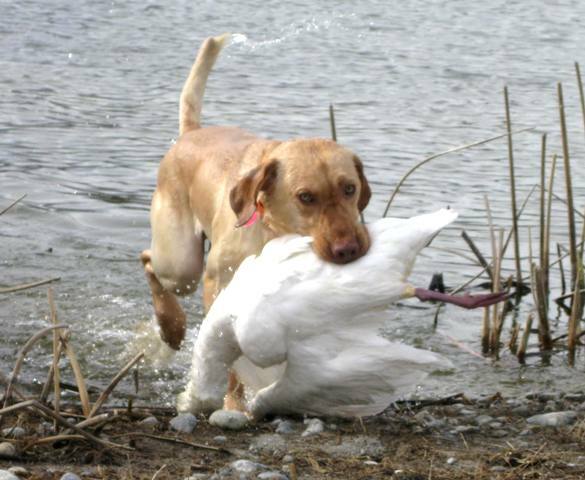 Stylish Upland Points, Intelligent Game Finesse, Bold Water Entries, Soft Mouth Retrieves, Affectionate Family Companions. 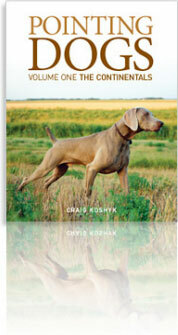 The Wesslpointer is at home on the prairies, woodlands, duck marsh, as well as the back yard. 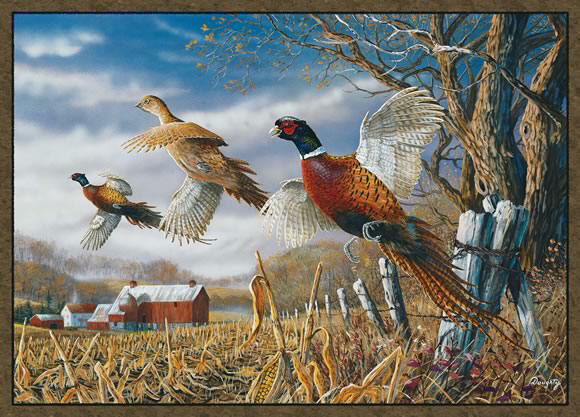 The great willing disposition brings all the other traits into BALANCE. 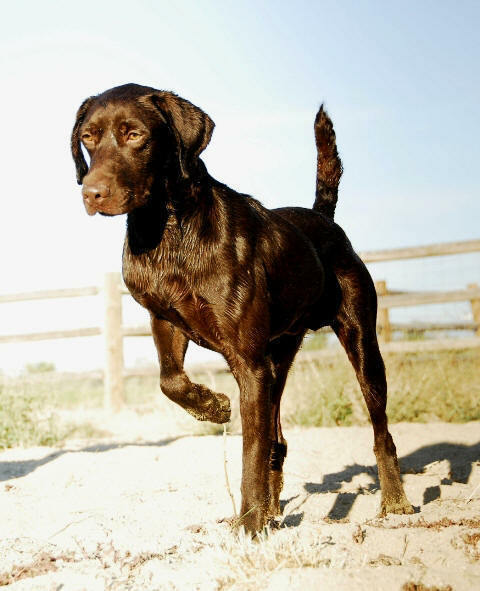 The Wesslpointer, America's new breed, comes in all solid colors. 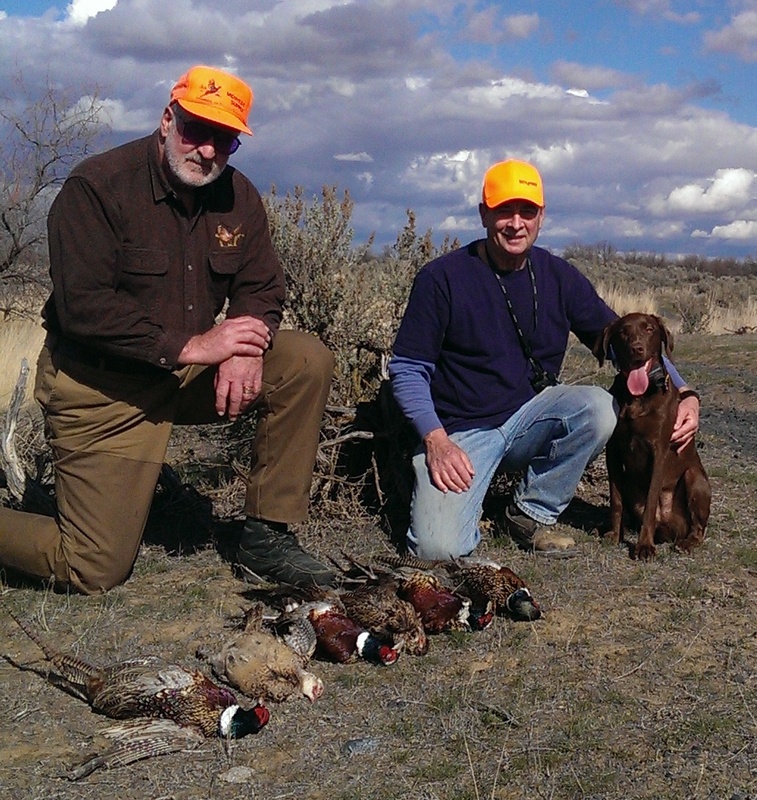 day- in- day- out duties of the Chesapeake Bay Retrievers. "lab" type coat can handle most weather conditions admirably. 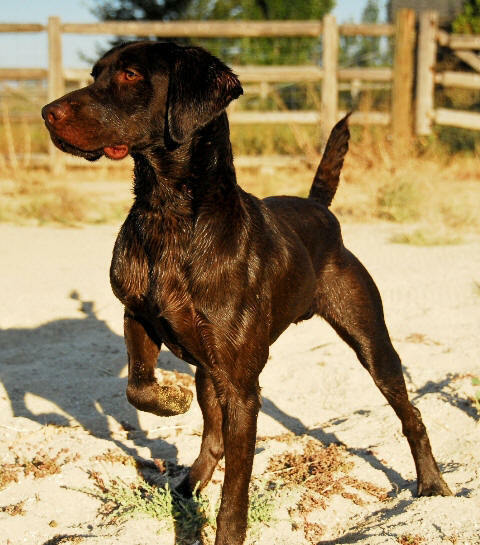 "Having almost killed my German Shorthair hunting in the wind and cold of S. Dakota, I can't wait to get "ONE"... with a lab's coat and Elhew tail"
"that has the temperament and smarts to be trained for more than one purpose"
"a breed that gets compliments on it's good looks"
"An American breed developed by and for Americans...Bred in the USA"
... truly AMERICAS VERSATILE GUN DOG. 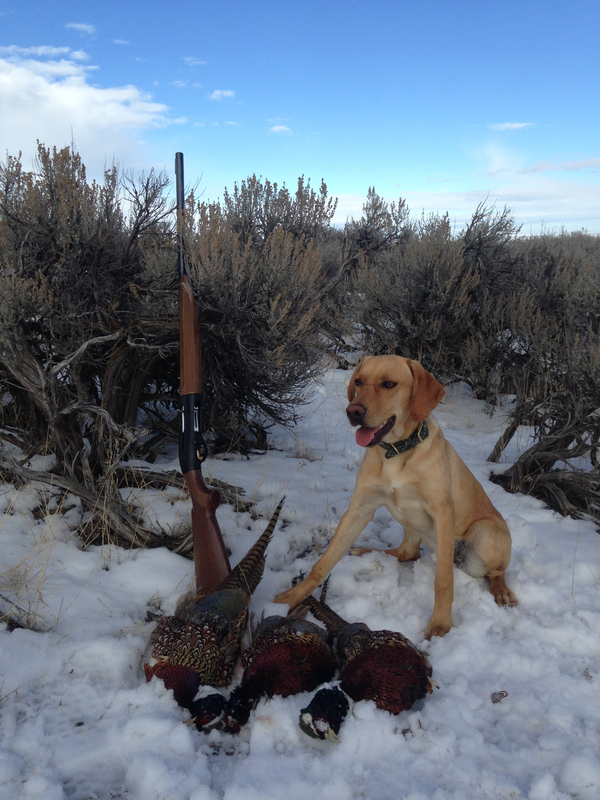 "We shot dove in Sept, pheasant in Oct, geese and ducks in Dec....he sleeps in the kid's room...couldn't be happier." 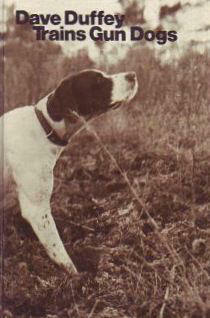 Click on book to read about the HISTORY OF THE WESSLPOINTER!